Welcome to Joshua Tree, the site of a huge national park and a handful of eclectic towns in the middle of a vast wilderness. Named after the native yucca brevifolia, the beautiful desert will amaze you with its serene beauty. The park straddles the cactus-dotted Colorado Desert and the Mojave Desert, and overlooks the Coachella Valley. 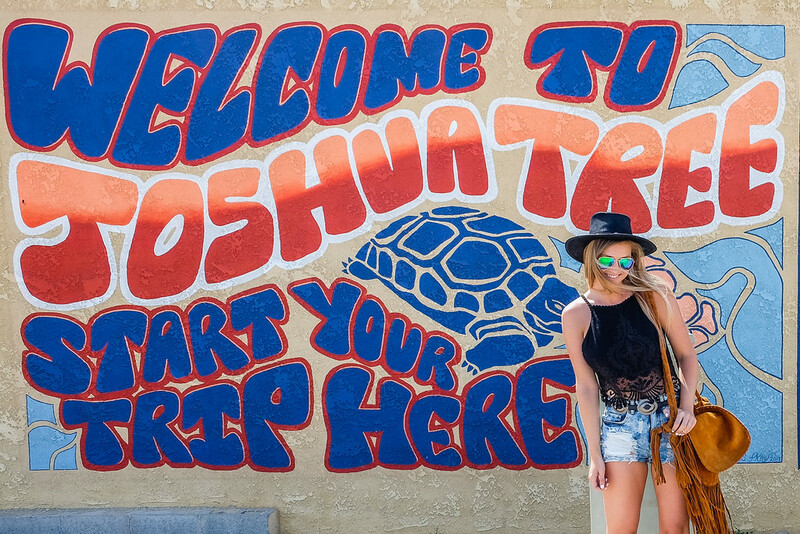 Here’s my guide to Joshua Tree in a adventure-filled weekend! For a true luxury desert experience, check in to The Coyote House. It’s a two-bedroom, one-bathroom getaway at the crossroads of Pioneer Town and Joshua Tree. Whether you’re in town for a show at Pappy & Harriet’s, a hike through the national park, or just to hang out with friends in the desert, this spot will be your home away from home. Find The Coyote House on Airbnb! 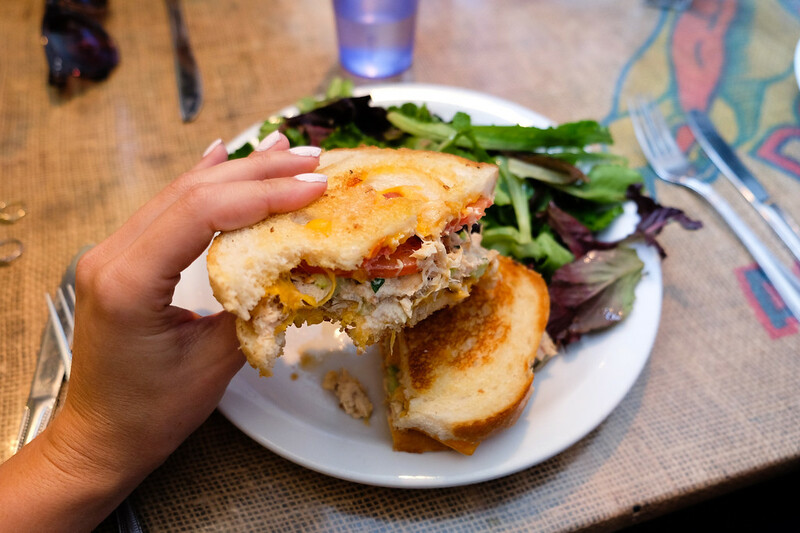 Grab a hearty breakfast at the Crossroads Café, a friendly, relaxed eatery just off the I-62. The café serves up incredible dishes of scrambles, hotcakes, and on–the-border specials like huevos rancheros. Vegetarians should check out the “soy-rizo” hash, a spicy fried sausage made of soy. Joshua Tree is a haven for shoppers of the vintage and eclectic. 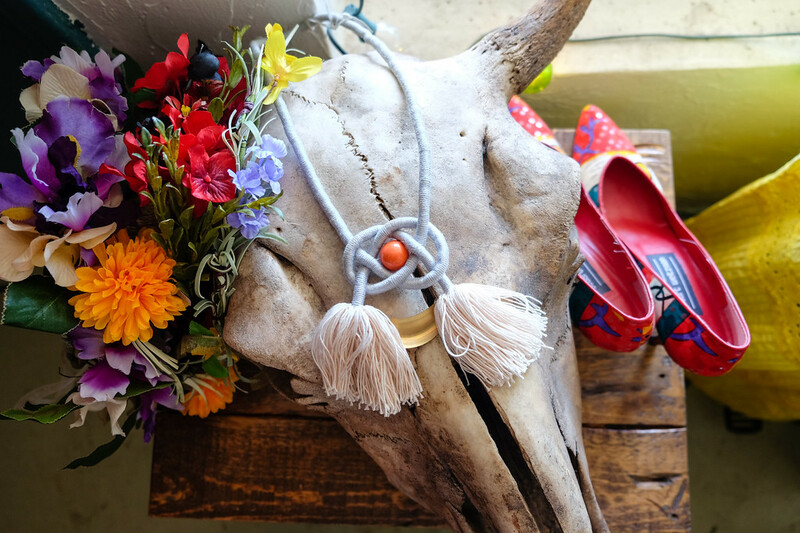 Get your essential thrifting items at a collection of boutiques and quirky corner stores like Starlite Courtyard, Hoof and the Horn, Pioneer Crossing, and BKB Ceramics. You’ll also find Trailer Court Shops, a mini-village of shopping carts that stock Mexican blankets, midcentury collectibles, figurative sculptures, and folk art. Joshua Tree was made for rock climbers and has more than 4,500 routes for beginners and experts alike. Sign up for a training class or a warm-up session at Joshua Tree’s Rock Climbing School. This will get your blood pumping before you hit the rocks! The staff is made up of well-qualified guides who sometimes lead private trips and family outings to the park. You can also join a small group for a day’s outing based on your level of adventure. The beautiful desert in Joshua Tree National Park beckons all rock climbers, hikers, and campers to its rocky slopes. The cactus gardens, ruins of ghost towns, and stargazing make it a must-stop on any trip to the desert. The park is home to several easy hiking trails that take you past fan palms, pools of water, and excellent views of Salton Sea. Pioneertown was built in the 1940s as a live-in Wild West movie set and offered temporary housing for cast and crew. It was the site for many T.V. shows including The Cisco Kid and Judge Roy Bean. Today you can still roam its dirt roads; it’s a bizarre sort of “old western Disneyland.” While you’re there don’t miss the bowling alley, reconstructed jail, bathhouse, bank, realistic dummies, fake crows, and dynamite props. Pappy & Harriet’s Pioneertown Palace is a long-standing landmark. The Palace is a well-known live music venue in the area and is home to Desert Stars Festival, an annual music event held in September. It’s the best place in the Hi-desert to check out local and L.A.-based bands; among its patrons are the notable Eric Burdon and Robert Plant of Led Zeppelin. Need a break from the sun and sand? After a hard weekend of desert hiking, spend some time at Naturalives, a refreshing, holistic day spa that offers everything from massage to chakra balancing. Relax at the fingertips of certified massage therapists, or opt for more therapeutic sessions that focus on problem areas or offer reflexology. Spa services also include manicures and pedicures, reiki, yoga, infrared sauna, facials, body wraps, and waxing. Whether it’s your first stop or your last in the Mojave Desert, be sure to visit the Integratron. The impressive structure was constructed by ufologist George van Tassel in 1959. The blueprints are influenced by UFO channellings and the works of Nikola Tesla are said to have been provided to van Tassel by aliens from Venus. Dubbed a “fusion of art, science, and magic,” its purpose is to tap into invisible magnetic fields and electromagnetic frequencies that affect biological cells. Van Tassel claimed that the cells of anyone who was within the structure were rejuvenated. These days, it’s mainly a tourist attraction where visitors can go to be exposed to harmonic sound frequencies. SHOP My Favorite Joshua Tree Tavel Essentials! Great guide to visit Joshua Tree! I visited last summer and loved it, but I think that staying overnight is even better to really enjoy it to the fullest. It’s such a whimsical place… Thanks for sharing!